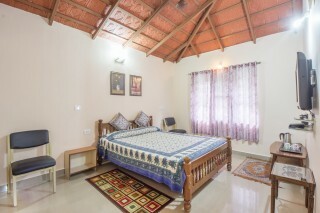 Located just 300 m from Cauvery Mini Hall, this is an offering of two rooms in a shared homestay. 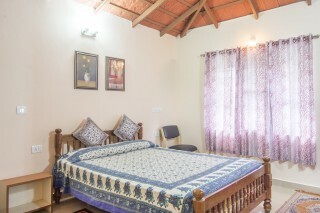 The rooms on offer can accommodate up to six people and are ideal for nature lovers. Breakfast is provided on request. 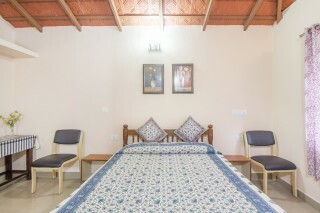 Your Space The homestay exudes a rustic vibe and displays traditional architecture which adds a charm to the establishment. 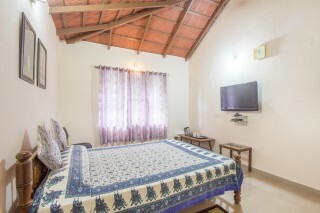 The rooms on offer are furnished with comfy beds, couple of chairs, utility tables, compact wardrobes, and dressing tables for your convenience. 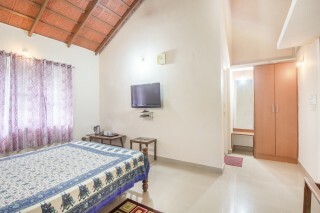 The television sets ensure that you remain up-to-date with your favourite shows. Vaulted ceilings in these spaces enhance the distinctive appeal of the stay. The en suite bathrooms are tiled and appointed with modern sanitary ware. Guest access - You have access to the entire property, and the parking space. 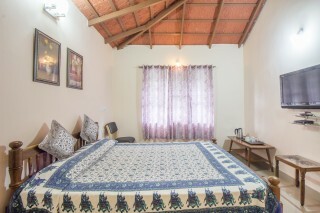 Guest interaction - We provide you with the services of a caretaker to assist you throughout your stay. 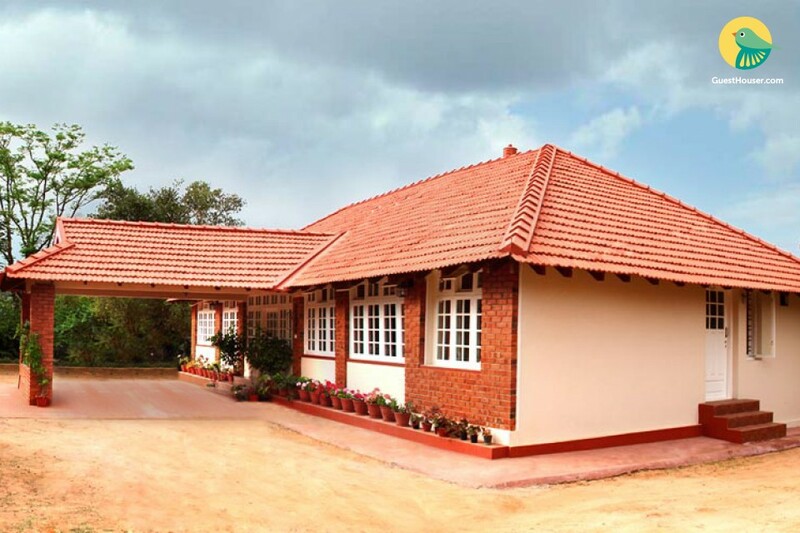 Neighbourhood overview Nearby places to explore are- Sri Omkareshwara Temple- 2kms Gaddige- 2kms Abbi Falls- 8kms Tibetan Golden Temple- 36kms from Madikeri Cauvery Nisargadama- 27kms from Madikeri Harangi Dam- 23kms from Madikeri Dhubare Elephant Camp- 37kms from Madikeri Bhagamandala- 40kms from Madikeri Getting around - The local bus stand is just 2.2 km away, so you can avail local transportation. Additional information - You are requested to provide your valid ID proof at the time of check-in. Madikeri does not have a railway station. The nearest railheads are Hassan, Kasaragod, Kanhangad, Kannur and Thalassery (each of which are almost equidistant at 115 km away). Mysore and Mangalore at 140 km away. The nearest major airport is Mysore Airport (MYQ / VOMY). This airport has domestic flights from Mysore, India and is 134 km from the center of Madikeri, India. Another major airport is Mangalore International Airport (IXE / VOML), which has international and domestic flights from Mangalore, India and is 140 km from Madikeri, India. Bus Station is on walking distance.